GeekAlerts has done several giveaways these last few months and together with TokyoFlash Japan, we thought it was time to do something special. The winner of this sweepstakes gets to choose a watch from any of the Tokyoflash collection for free. No need to pinch yourself, you’re awake and this sweepstakes is for real! 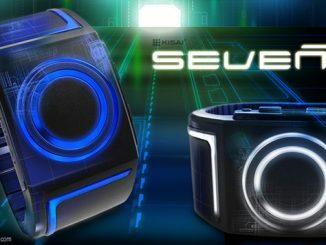 Just to refresh your memory on some of the cutting edge & limited edition watches that Tokyoflash produces, check out some of our past articles: Kisai Seven LED Watch, Kisai 3D Unlimited LCD, Kisai Rogue Touch, Kisai Round Trip, and Kisai Satellite. For those of you not familiar with Tokyoflash, they are much more than just a “watch” company. 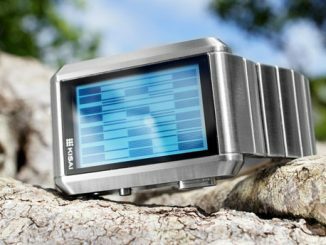 They pride themselves on creating watches that offer a “Unique Product Design,” where design is the main point, not function. Anyone can walk around with a cheap timepiece, but Tokyoflash wants you to enjoy telling time much like art lovers appreciate a good Picasso. Take a few minutes to go over their website and you’ll understand what it means to be creative and unique when it comes to telling time. To enter this sweepstakes for your chance to win the TokyoFlash watch of your choice, simply add a comment to this page using the form at the bottom of the page. After adding a comment to sign up for this giveaway, be sure to enter our Burn Notice Giveaway, which is running simultaneously. Many of our sweepstakes are only open to residents of the USA, but since Tokyoflash ships around the world, this giveaway has no such restriction. However, like all of our free giveaways, there are some basic rules and procedures to follow. You must be at least 18 years of age and add a comment on this post before 11:59 PM PST, December 1, 2011 to earn a chance to win. No purchase is necessary and there is a limit of one entry per person / email address (we will be checking.) For all the complete details, read the Official Rules. GeekAlerts believes in privacy, email addresses are not displayed, sold, shared, or added to any mailing lists. Make sure you have a valid email address (if not, go and create one) to use for the comment form, otherwise GeekAlerts won’t be able to contact you if you win and we will be forced to choose someone else. We work hard at GeekAlerts to keep our fans happy and we appreciate all our followers. Stay informed of the latest products and gadgets on the market and learn about new giveaways from GeekAlerts.com by Following GeekAlerts on Twitter, “liking” GeekAlerts on Facebook, or subscribing to our Newsletter. Update 12/4/11: There were a total of 130 entries (after removing any duplicates and/or late entries) and the winner has been randomly selected and notified by email. 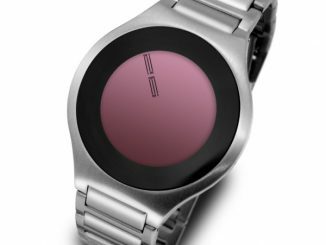 Update 12/13/11: The winner, Jennifer D. from Vienna, VA, selected a Kisai Keisan Black watch as the prize. Awesome choice! Those watches are awesomely cool! I would love to receive one of these watches! I love gadgets! Any Tokyoflash watch would be perfect! I hope i will get picked! 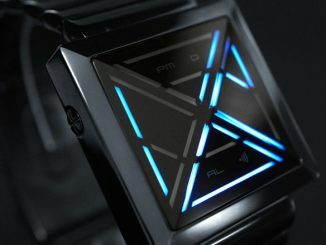 i want that tron watch!!!! 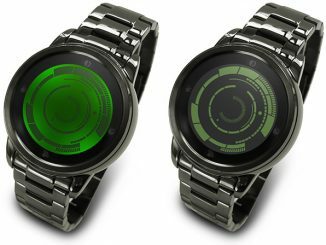 These watches are beyond cool! I want one! =) Loving your GeekAlerts. More sweepstakes please! Man! I love Tokyoflash watches. They are the coolest ones around !! Got to love the ideas and styles they come up with !! Awesome! I love these things! What great looking watches. Very geektasic. These watches are so creative! Love them! I wants to wins one. Sweet, I love these watches! Awesome giveaway! 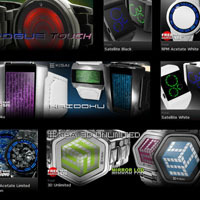 Tokyo Flash watches look astounding! I have been coveting one of these since they first appeared on GeekAlerts! Awesome giveaway! I’m feeling like a winner! Keep up the good work, Toykoflash! You rock, Geek Alerts! Oh my, I must have one! Now I have a reason to wear a watch! Super cool! Thanks for the chance to win it! Tokyoflash watches are great conversation pieces. So awesome. Really, any watch, I can pick any watch… sweet. I don’t normally wear watches, but I’d make an exception for one of these! So cool, can I have one for Christmas please? Now I can enter too!!! TOKYOFLASH! WHOOOOOOOOOOOOOOO! Love watches. Have 24 so far, this could be 25! Coolest chronographs on the planet. I have to say this is the most unique watch designs I have ever seen! Wow! These are some really unique time pieces. Thanks for the post. Awesome watches! I wanna win!!! I love Black Friday Deals…and love to win. 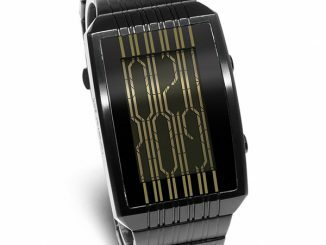 I’ve decided my new look for 2012 is going to be “Sci-fi” and one of those watches would work perfectly. The future is now. That watch looks like a great conversation starter! I just discovered this website today & I am adding it to my Evernote blog collection right now! Come on Tokyoflash Watch! I want one of those watches so bad!
! Put me down for a Kisai Rogue! Would love to own a watch, especially a TokyoFlash one! I have never seen a watch like this before. I want one. I work in front of a computer and work at home on my computer (I work in the effects industry) and so 90% of my time awake, there’s a clock right in front of me on the computer monitor. I shouldn’t need a watch, right? But I do! I feel naked without a watch. It’s a fashion piece for me more than a time piece, so I can totally relate to TokyoFlash’s ideology :). And TokyoFlash have some of the best watches I’ve seen in a long time! Wow…I love the Acetate watch. It totally reminds me of the robot Eva from the movie Wall-e. My son is learning to be a d.j. and has a really cool controller that would go with his light up gloves and any watch you make. I would purchase even without winning.Great Job! awesome contest, hope to win! These watches are incredible! I would love to win! 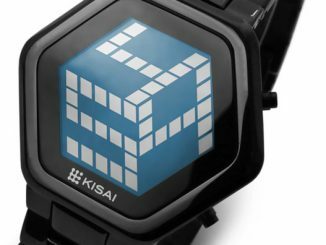 I am going to hold my breath until I get a Tokyoflash Kisai 3D Unlimited LCD Watch. Sweet!People dont wear watches much anymore but I love them! I really need a new watch, and these are so cool! I’d be proud to wear one! Love the watches and love Geeks too!! my Watch collection needs a TokyoFlash! got to gets me one of those there watches! its not just a want its a must have! The time is right for me to win a watch! 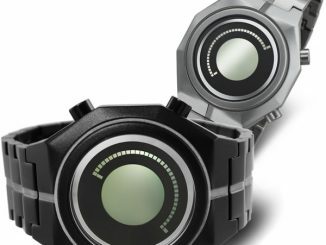 These Tokyoflash watches are all kinds of awesome! Enter me please! I love Tokyoflash – have been wanting one of these watches for a long time now! Good Luck to everyone here! 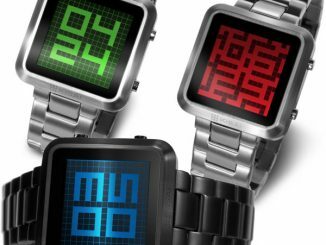 These watches are awesome looking! My watch just died! Perfect timing. I’d like to win one of these. Form meets function, so avant garde. I’m sorry I can’t say that with a straight face. You can’t spell functional without FUN! I hope I win this watch! I could always use another watch – so here’s hoping. Very cool, especially at this time of the year! Awesome giveaway guys, please count me in! 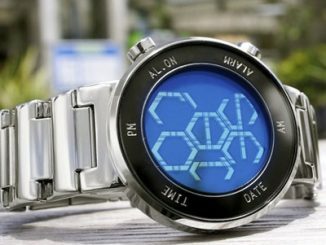 This is a very cool watch. I’ve always loved TF watches – would be great to own one! How could you not love these watches! For many years I have ordered gifts from you all and they have always been great! If there was any errors it was corrected at once. Maybe I’ll be lucky and win! The sweepstakes has ended, but we have a new one going right now. Always check the GeekAlerts.com Home Page to see if there is a new giveaway. I think tokyoflash is on the cutting edge of watch design it’s the 21st century and most watches haven’t changed. 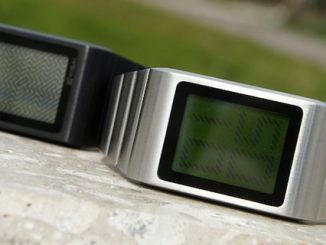 Even the digital watches are the same. Tokyoflash is awesome!!! Ya Tai!!! The watch I won through this giveaway came while I was out on vacation! It was a great gift to come back to! I need to get it resized but it looks super sleek and as awesome and crazy as I expected. Thanks so much to GeekAlerts and TokyoFlash!! I love it!! these are so cool looking ,I would love to give my dad one as he is a watch geek. Please note that this sweepstakes has already ended. To check for our latest sweepstakes visit this page.